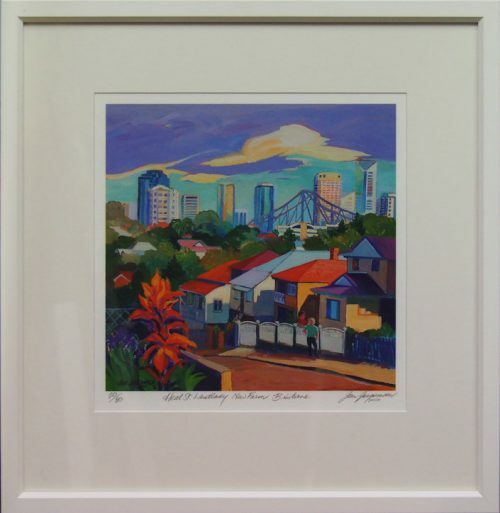 Jan Jorgensen has had many solo exhibitions of her work over a thirty year period in Brisbane and Sydney. 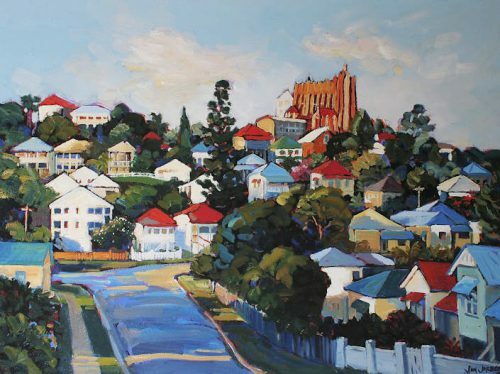 She studied art at Brisbane Girls Grammar, Brisbane College of Art, and a further three year period as a mature student at Kelvin Grove campus of BCA. 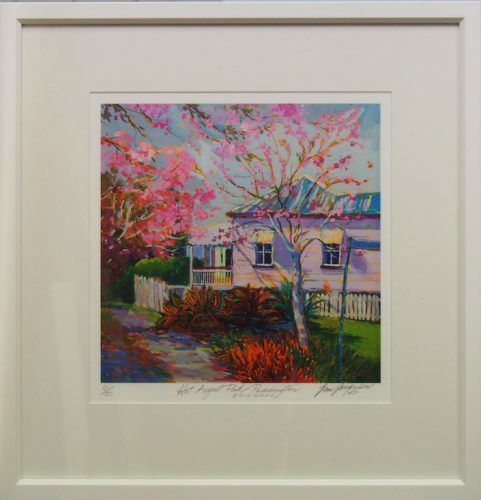 Archibald prize winner William Robinson was her principal tutor twice, many years apart. 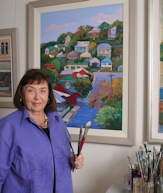 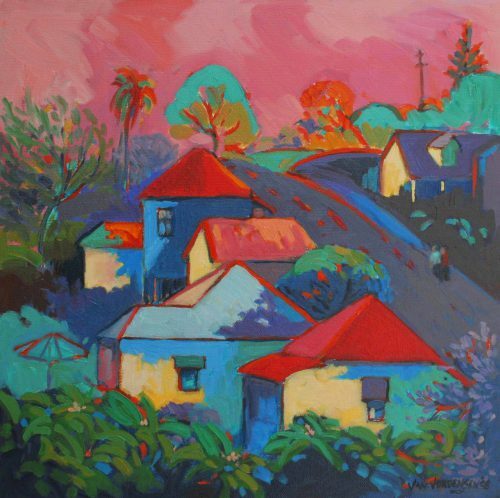 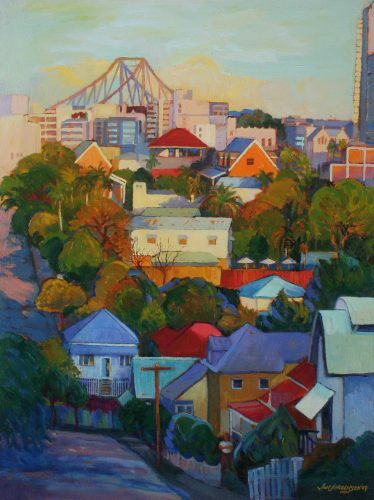 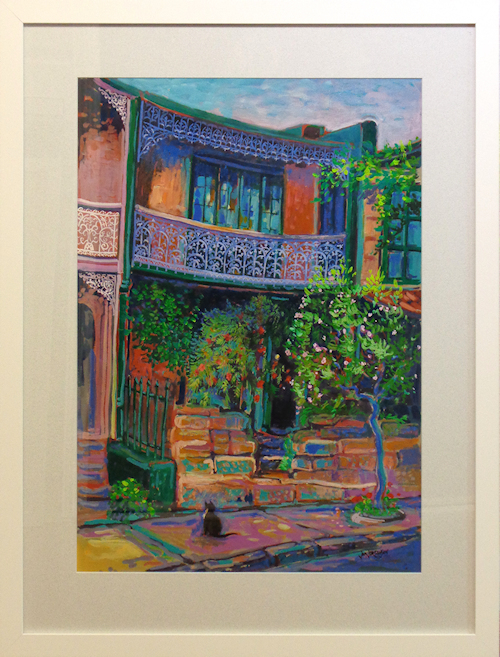 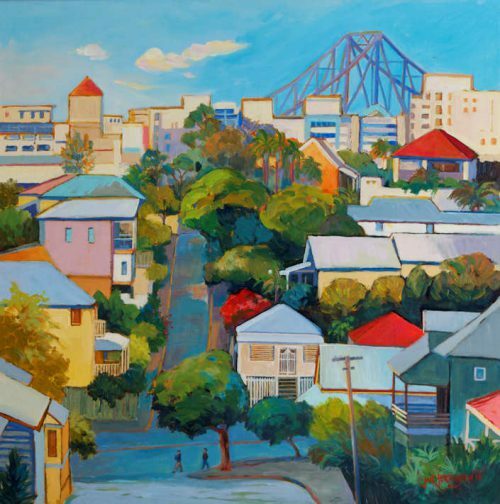 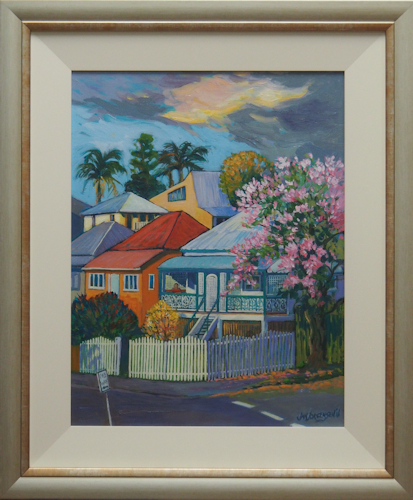 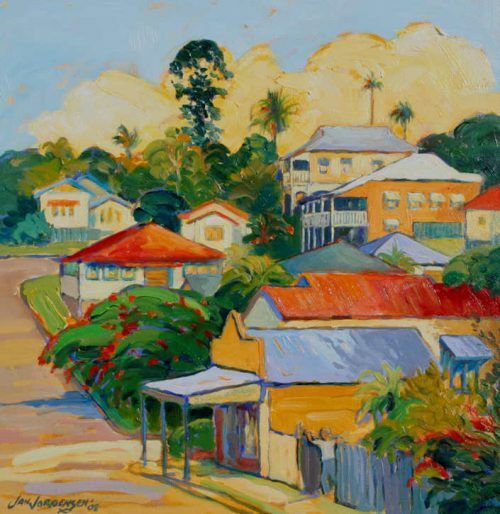 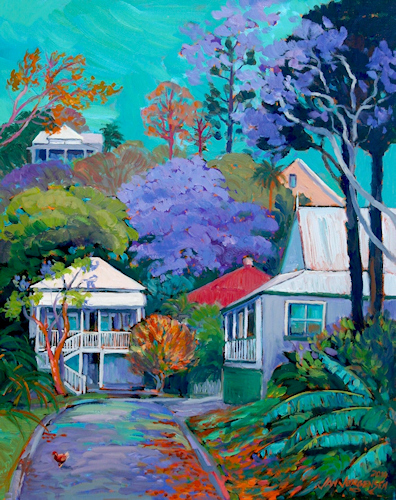 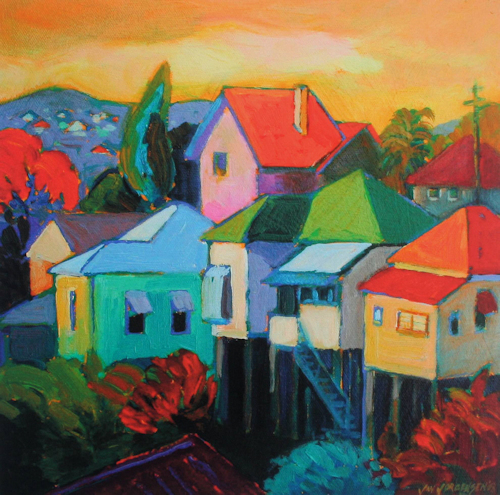 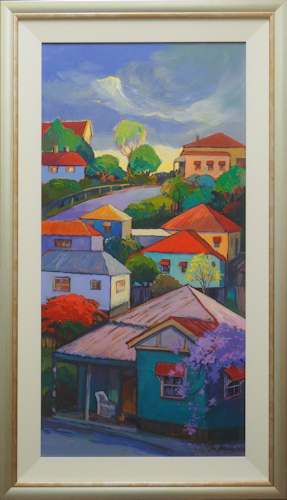 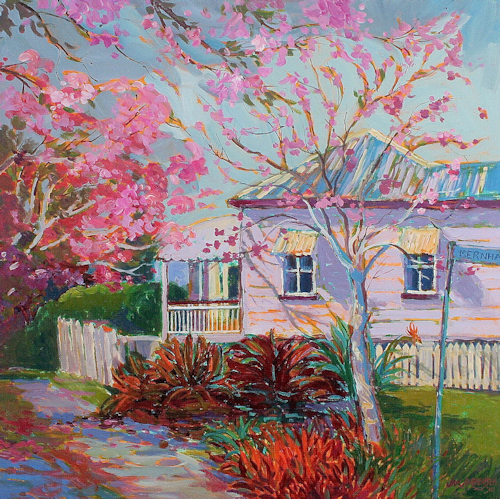 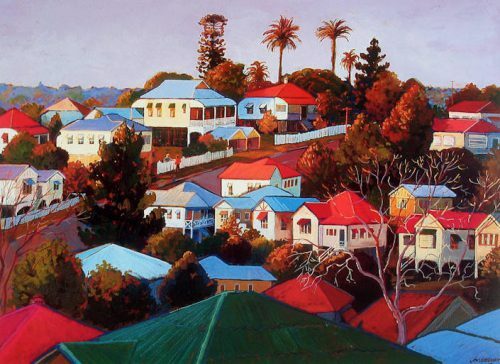 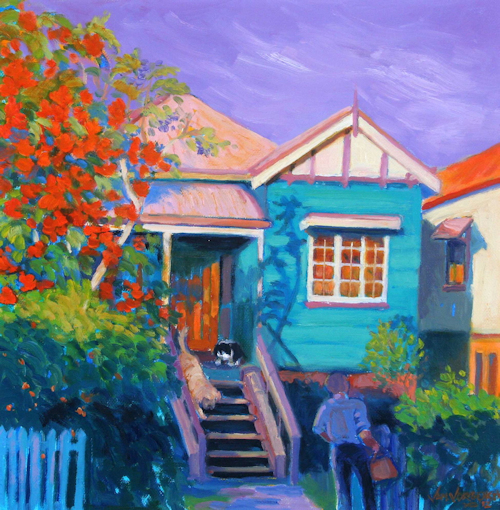 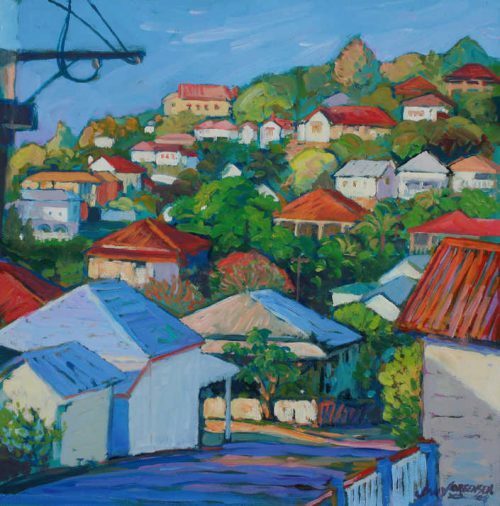 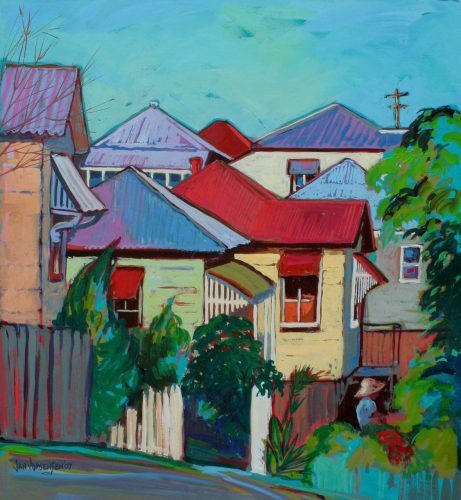 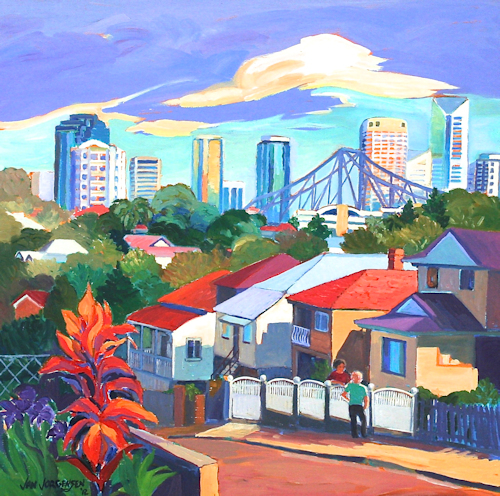 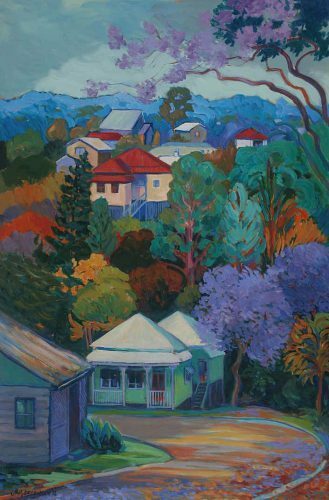 Jan was interested in wildlife and set up the Qld Wildlife Artists Society in 1984, exhibiting and organizing exhibitions until a move from leafy Bardon to New Farm in 1990, when wildlife painting gave way to inner city landscapes. 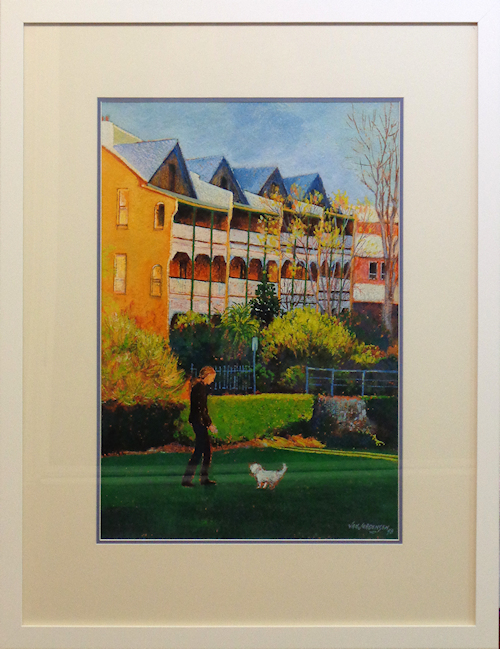 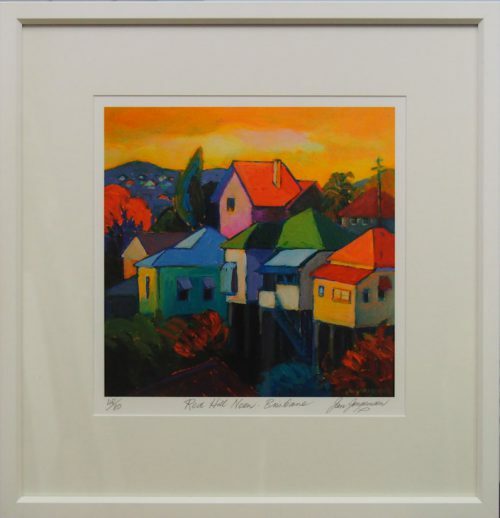 Along with original oils, we carry a range of Jan’s limited edition prints, both framed and unframed.